At Eastern Peak, product development is a holistic process. Our solutions don’t only look great, they also perform. 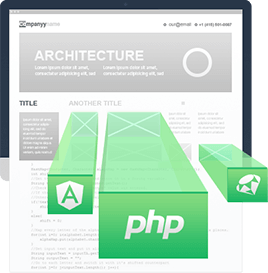 From the start, we consider your content strategy, information architecture, scalability, production support and many other factors that will make our solutions work for your business now and in the long term. That’s why, for the first step of our collaboration, we propose to conduct a project for functional specifications, UX/UI design and interactive visual prototype of the envisioned end product. During this project we will take business ideas and initiatives and transform them into information management processes. We will transform your business ideas into the world of information science. We will identify the main actors, processes, use cases, interactions and exception conditions. 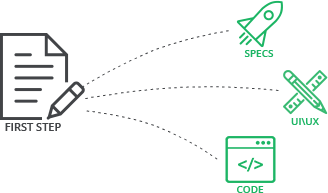 We will define the technology stack that should be used: both on the backend and frontend. 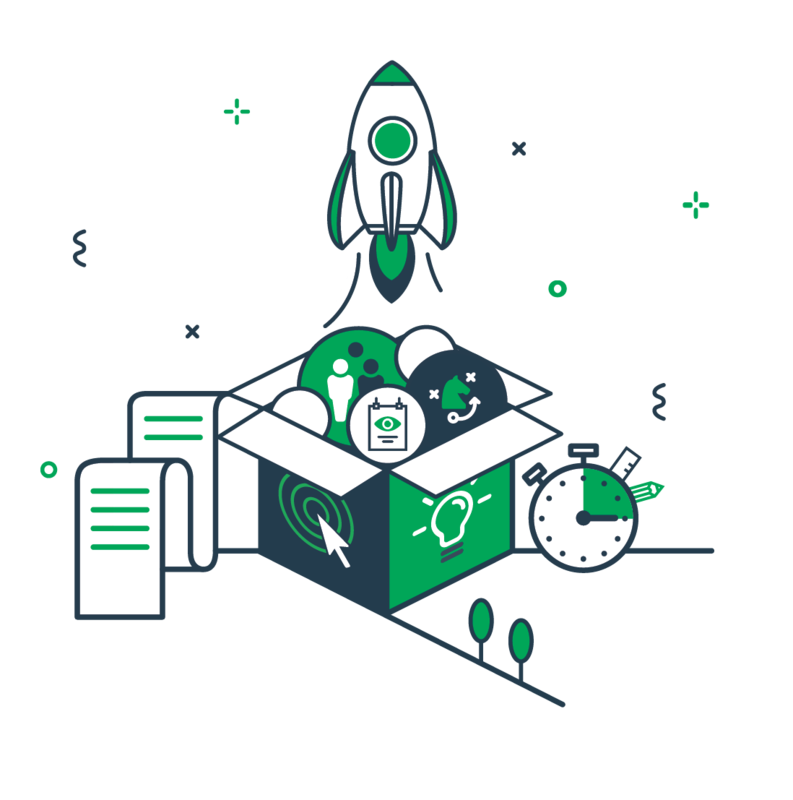 We will also define the required third party integrations and determine how they correspond to the required functionality and scalability of the product. 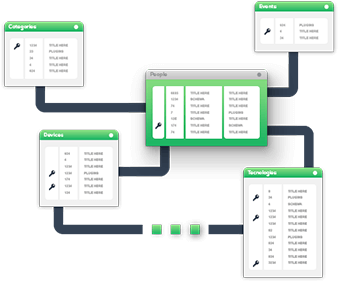 We will define the main structure of the database. We will define the tables and their relationships and make sure the data supports the processes that were defined in the functional specs. 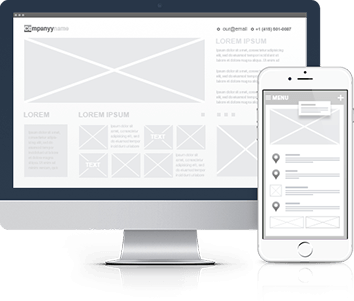 We will design the main screen wireframes and user flows of the application with focus on optimal user experience. While the system is complex, it should be intuitive, flexible, easy to use and appealing to the end user. 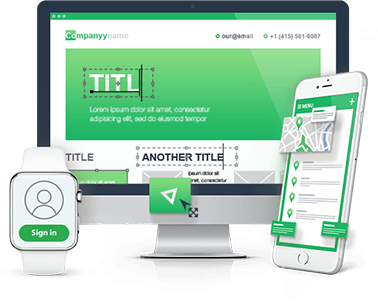 We will design a detailed look and feel of your website or mobile app. 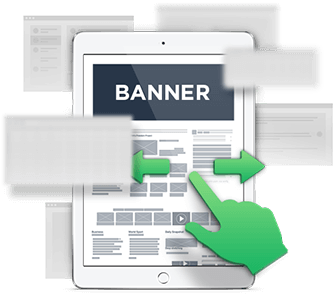 Our design is an elegant combination of art and marketing, created to bring your business and your customers closer together. We will turn the created design into an interactive visual prototype. A visual prototype will show you how your product will look like to the end user. This is a unique opportunity to to solicit feedback about your product from your partners and investors even before we start the actual development. 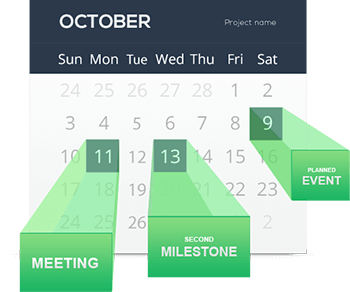 We will show the main milestones of the project, and define the entrance and exit criteria of each milestone. Why to start with product discovery? Know what your product is, inside and out. Functional specification will allow us to define a full scope of work and will give you a clear view of your future product. With an interactive visual prototype you can demonstrate your product to your investors, partners and family before it goes to development. Set the budget for your MVP. With a full outline of what it takes to develop each and every feature, you can make smarter decisions on how your MVP will look like to ensure it meets your business goals and budgets. This will allow both of our companies to get to know each other before we jump into a long-term partnership. First of all, you need to let us know somehow that you want to get started :) The easiest way would be to submit your request here. Just drop us a line and we can discuss the idea that you have for your project. If you already have a description of your product that will help us better understand your needs, then starting will be a bit faster. If not, no worries, we can start working right from the first call. Will I be committed to working with you right after completing the product definition project? No commitments. You can take our functional specifications and ask other companies to develop your product in accordance with it. Although it has never happened, if you wanted to continue the development of your project with another company, then you of course have all rights to do so. What if I already have a clear vision of how my product will look like? Can I skip this phase? Product discovery phase is an extremely dynamic process where you are constantly getting feedback from our tech and product experts, your partners, your families and your friends, changing your product definition accordingly, and in many cases the final product definition becomes something very different from what it was at the beginning. From our experience our clients extremely appreciate, cost-wise, this happening before they start any development work but not after or in the middle of it. Although you can actually start the development without having a detailed functional specification, there is a major risk of going over time and budget when you do not fully define your product at the very beginning. Can I start the development without a functional specification? 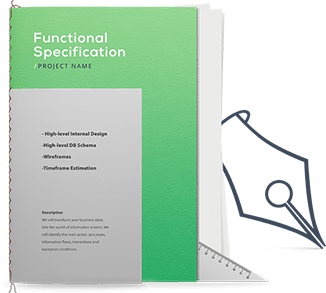 Functional specification lays the groundwork for the future of your product. During this phase we will define use cases, user flows, database schema, 3rd party integrations, conduct performance and security analysis, etc. Although you can actually start the development without having a detailed functional specification, there is a major risk of going over time and budget when you do not fully define your product at the very beginning. We keep your ideas safe. REQUEST A QUOTE We will contact you within one business day.